Amazon Alexa and Other Virtual Assistants Used as Evidence? Can Amazon Alexa and Other Virtual Assistants Be Used as Evidence? Virtual assistants such as Amazon Alexa, Google Assistant, or Apple’s Siri have become increasingly popular. The number of active users of virtual assistants has been forecasted by Tractica, a market intelligence firm, to increase from 390 million in 2015 to 1.8 billion worldwide by the end of 2021. These virtual assistants keep track of data, such as voice commands, product searches, purchase history, and internet searches. In addition to offering a great variety of data, virtual assistants have an immense storage capacity and the ability to store information for years. Data access then raises potential constitutional issues. One of the main issues is, what protections do owners of virtual assistants have when their privacy has been invaded? In 2015, Amazon was served with a warrant in Arkansas to search and seize all audio recordings and text records between a murder suspect’s Alexa device and Amazon’s server during the 48-hour period in which a murder took place. Amazon filed a motion to quash the search warrant, based on First Amendment arguments. But before the matter could be adjudicated, the suspect voluntarily turned over the recordings to prosecutors. Based upon the above scenario, third-year law student Tara Melancon discussed hypothetical arguments for protecting data of virtual assistants, such as Alexa or Siri. She based the following arguments on protections under the Fourth Amendment and the First Amendment of the US Constitution. The Fourth Amendment protects people from unreasonable searches and seizures conducted by the police or FBI. But Fourth Amendment protection may fail. First, an Alexa or Siri user may not have reasonably expected privacy for data stored on it. The user may have even given consent to a company such as Amazon or Google to share the user’s data. Second, the Fourth Amendment would not protect the user’s data if there was either a threat of imminent injury to someone or a threat of the destruction of evidence. Finally, courts would not allow a company such as Google or Apple to argue Fourth Amendment protections on behalf of the company’s own customers. After all, the devices and the data stored on them are the customers’ personal property, not the company’s. Customers would have to make their own arguments about their own injuries because the companies would not have standing in court to argue on their behalf. Fourth Amendment arguments are thus less likely to succeed than First Amendment arguments. The First Amendment protects freedom of speech. Protected speech includes Alexa or Google Assistant queries such as requests, commands, and questions. The device’s responses are also protected speech. Additionally, the First Amendment protects freedom of association. If Siri allows a user to join a group or to have a list of associates such as companies that the user buys from or friends, the First Amendment would protect the privacy of those associations. Moreover, the government would find it incredibly difficult to prove that its interest in collecting a device owner’s data is so urgent that the First Amendment should not protect Alexa, Google Assistant, or Siri users. Lastly, a company such as Apple that owned all their customers’ data would be allowed in court to argue First Amendment protections on behalf of those customers. Courts have shown that one can argue the First Amendment rights of someone else if a law causes the other person not before the court to refrain from constitutionally protected speech or expression. 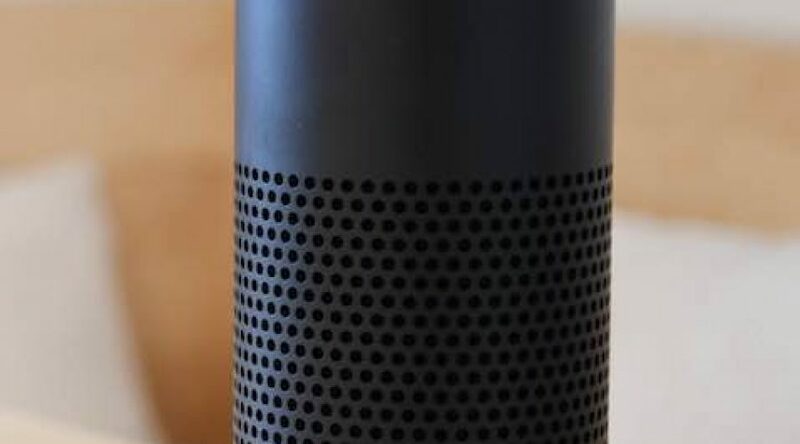 Depending on future court cases, individuals may ultimately reject virtual assistant technology and abandon their Alexa devices because of privacy concerns. Alternatively, individuals may engage in self-censorship of what they say, even in the privacy of their own homes. Their speech would then be subject to what is called “a chilling effect,” in which individuals seeking to engage in lawful activity are deterred from doing so by governmental regulation not specifically directed at that activity. If you have questions about your constitutional right to privacy, or if you have been arrested following a search and seizure of your virtual assistant or digital devices, call The Wright Law Group today. Our attorneys will review your case with you. With over 25 years of experience in Criminal Law and Litigation, The Wright Law Group, P.C. is well-equipped to assist you. Call us now at (702) 405-0001. Our consultations are always free and confidential.